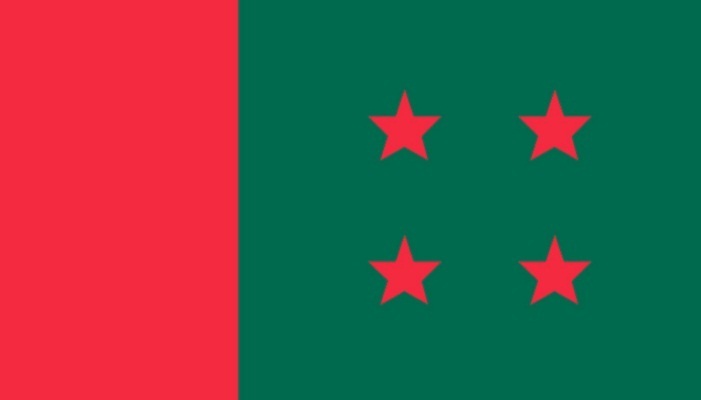 Ruling Awami League smells a rat in the recurrence of violence on Dhaka University campus centring the students’ movement for reform of the quota system in government jobs. Terming it a fresh conspiracy against the government, AL insiders say the party high-ups remain alert to any incident like the one that occurred during the army-backed caretaker government in 2007. Top party leaders are now engaged in holding series of meetings, taking seriously the repeat of violence on the DU campus, an AL leader told the daily sun. BNP and its key ally Jamaat might have provoked demonstrators to make the government embarrassed ahead of the next national polls slated for December, he added. AL general secretary Obaidul Quader at a programme on Tuesday said political vengeance was behind the vandalism of the residence of the DU vice-chancellor during the protest. “Even on March 25 in 1971 when incident of killing took place on DU campus, the VC residence was not attacked. The VC house came under attack 47 years after the country’s independence,” he added. Some miscreants wearing masks vandalised the VC house on Sunday night after law enforcers dispersed the agitators in view of the sufferings of the commuters. Party insiders are cautious as such violence on the campus compelled the army-backed Fakhruddin-led caretaker government to hold the 2008 national elections. Violence erupted on 20 August, 2007 after some army men beat up three students and insulted a teacher during a football match on the university gymnasium field. Thousands of DU students took to the streets on the day protesting the incident and demanded withdrawal of the army camp from the campus. They also sought an apology from the troops concerned. There were pitched battles between the students and police for the next two days during demonstration for quota reform, which injured over 250 people, mostly students. AL sources say they find a fresh conspiracy in the violence on the DU campus. Conspiracies are being hatched at home and abroad to topple the incumbent government to hinder the country’s progress, they say. Bangladesh under the dynamic and visionary leadership of Sheikh Hasina has been graduated to developing country. AL organising secretary Muhibul Hasan Chowdhury Nowfel finds involvement of a third party in the campus unrest. “It is nothing but a disorder. Students are being used,” he said, adding that BNP-Jamaat has been trying to wage anti-government movement using the students.